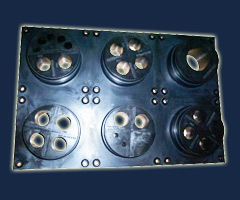 Renowned Manufacturers of many kinds of molded Rubber and Plastic Components & Exporters many Molded Rubber Components. 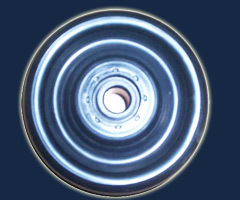 With a vast experience about 44 years for manufacturing Rubber & Plastic components, we have many Multi National companies as our satisfied customers. This is so because we care for the specifications provided, care for the aesthetic look of the components and above all accuracy of sizes & design. Our components are totally defect free and achieve more than targeted life. This generates total satisfaction in our customers and we automatically get repeat orders. Similar is the case with our overseas customers based in USA, UK, Middle East, Australia, Thailand, Germany, Norway, Italy, Canada etc. Located at Faridabad, Haryana, we are led by Mr. N.D. Ahuja who has inspired us to meet the emerging market challenges. To fulfill his expectations, we have a team of Engineers, Industrial Designers and qualified workforce to manufacture Moulded Rubber and Plastic components as per the requirement of our customers. further our approach is to satisfy our customers with best quality which has helped us to achieve and annual turnover of INR 200 millions. The company has the following certifications to it's credit.